Icon. Superhero. Daredevil. Stuntman. These are words to describe the only and only Evel Knievel. But, as much of a badass and role model he was, Evel was a broken man who had as much fear as everyone else that watched his stunts. Produced by Johnny Knoxville and directed by Daniel Junge, we are brought a documentary of the infamous life of this beloved stuntman, but also peel back the layers and show us he was human and had emotions like everyone else. I am not going to lie; it’s hard to review a documentary. This film is basically his life and that’s it, but I can tell you if it’s interesting. It is. I really thought his life was very rich and filled with great people in his life as they supported him through his crazy life. All the people in the interviews told it like it was and said he was a crook and he has messed up in life. I think that’s what makes a great documentary. It’s when you can take a celebrity or an icon and bring them down to a human level and show their mistakes and faults. 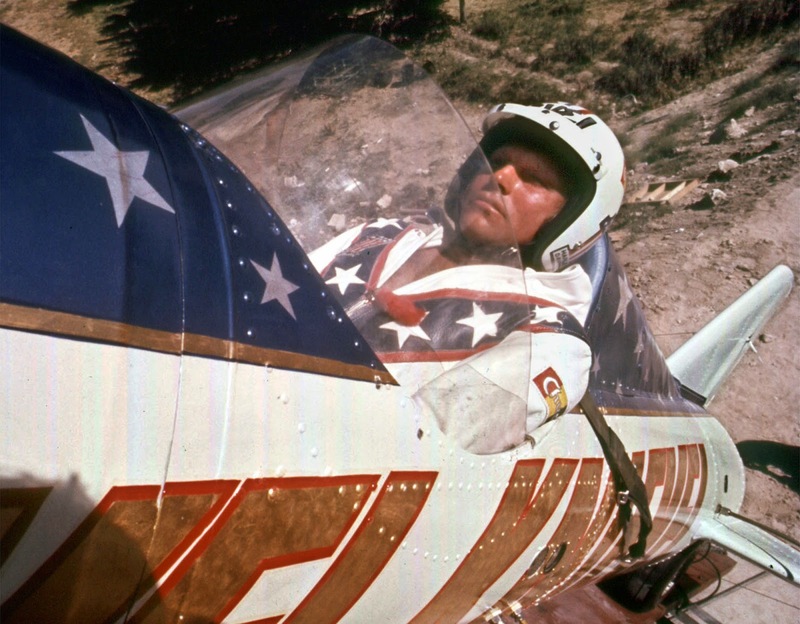 Evel was not perfect and sometimes he was kind of a terrible human being. So I give the filmmakers props in not shying away from the dark times. Even your favorite heroes have baggage. The people in the interviews do a great job in telling this story of a legend that we only knew the surface on. Johnny Knoxville was an interviewee and it was great to see his passion on one of his idols growing up. That then translates to the passion of producing the best documentary possible. I was impressed on all the footage and photos they conjured up to gives great visual eye candy over the talking heads. What made this documentary different was that when they would have the interviews going there was a theater screen behind also playing footage they were talking about. The interviews were actually shot well and had some nice lighting and color in the frame. The film is about 100 minutes and it flew by for me. 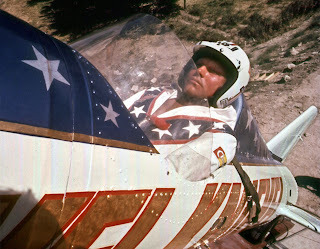 I was enthralled at this guy’s life and if you liked Evel Knievel, I think your eyes will be glued to the screen.